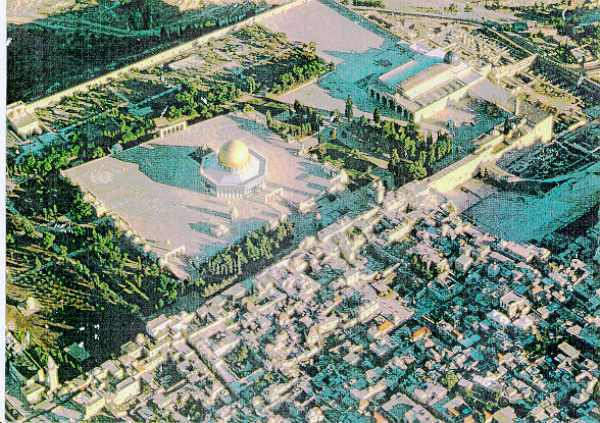 The Temple Mount Area: From the Northwest one can see The Dome of the Rock which is situated at the center of this area. The Al-Aksa Mosque is located to the south and to the west is the Wailing Wall. The Al-Omariah school stands in the north west corner of this area.